Let’s take a look at four astonishing places that will amaze you. These four destinations are not your typical tourist hot spots. Before we dive into these four astonishing places that you may have never heard of, here’s a full list from National Geographic of the best trips for 2018 – some familiar, some not – check it out here. If you’re craving a break from the usual hustle and bustle along with the noise, Haida Gwaii will give you the silence you’re longing for. 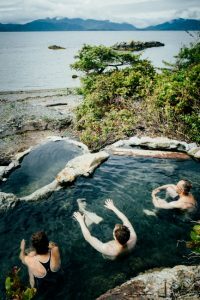 A 180-mile-long archipelago off the coast of British Columbia is the ultimate getaway for nature lovers. May-September is the summer season, with more tourist services available, and a greater chance of seeing spectacular wildlife like the Orca migration. But if you’re into surfing, try October-May for the best waves. 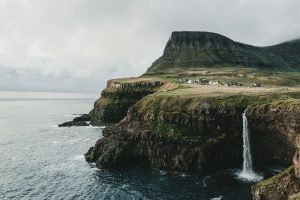 To get a feel for what life was like for the Vikings, hop a ferry from Denmark or Iceland (or select a cruise with a port stop) and check out the Faroe Islands. Located about 400 miles off the coast of Northern Europe and accessible by flights and ferries year-round, the Faroe Islands are ringed with dramatic green cliffs that plunge into the ocean, sparkling bays, and breathtaking Nordic scenery. In the city of Gjógv, stay in an authentic sod-roofed hotel and take hikes up into the mountains with a spectacular view of the gorge below. Go in July or August for mild temps and long days. A hidden travel gem lies in the Western Baltics, which is already a somewhat-unknown region that is brimming with breathtaking scenery and a proud cultural heritage. 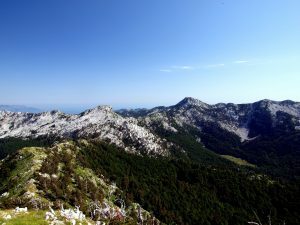 The Via Dinarica is a year-round adventurer’s wonderland. Love gorgeous summer hikes and biking tours? May-September, this trail stretches through 1,200 miles of varied terrain and eight different countries. If you’re into skiing and snowshoeing, hit the Via Dinarica from January to mid-March for a pristine wonderland. Stay in remote mountain shelters, or immerse yourself in centuries-old tradition by staying with local host families. We see a lot of Japan’s bustling cities, its towering skyscrapers, its industry, its bright lights. But if you’re interested in reclining into the contemplative heart of Japan, seek out Koyasan, a pristine monastic complex two hours south of Osaka by train and the seat of Japanese Shingon Buddhism. Many temples here offer guest rooms, and you can get a feel for what monastic life is like in the lush, misty mountain interior. Savor the simple flavors of clean Buddhist eating, take in morning rituals, or hike by lantern and moonlight along winding green mountain paths. 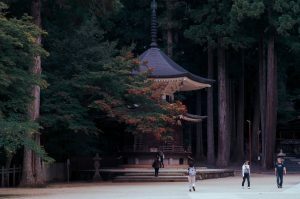 After the intense and amazing sensory experiences that the large urban areas of Japan provide, Koyasan really is the perfect retreat into silence, simplicity, and mystery. One of the many reasons I love what I do as a travel agent is that there is just so much to see, to take in, and to learn. We all have the amazing opportunity to launch out into new places, to find some new adventure that will change us forever — and I love getting to be a part of that process by assisting YOU. If you’re feeling that pull to places that are new to you, contact me today and let’s start planning your next adventure! You can also learn more about why I WANT to help you with your dream trip here.